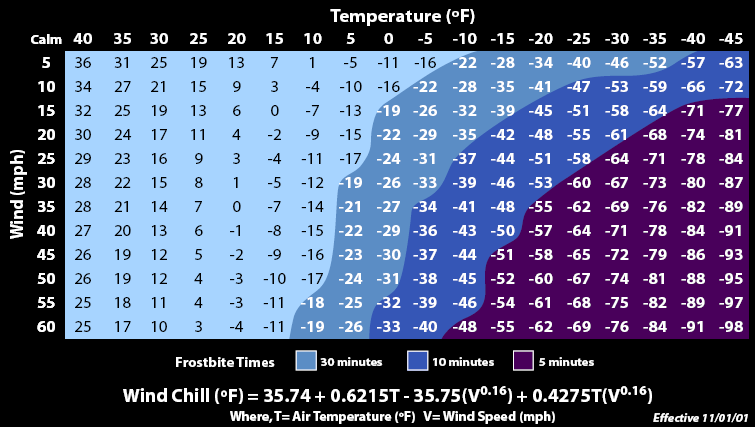 Wind chill numbers are always lower than the air temperature for values where the formula is valid. When the apparent temperature is higher than the air temperature, the heat index is used instead. Wind Chill is defined for temperatures within the range -45oF to +45oF and wind speeds 3 to 60 mph. Wind Chill temperature only will not cause water to freeze. Water will only freeze when the waters temperature reaches the freezing point.